When your job is based on something that is very artistic and requires time and inspiration one of the must do’s is research. Research and experience is the key to success as a fashion designer. 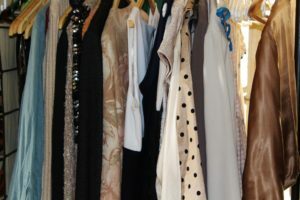 This article is going to be all about sharing some of my tips based on experience for any fashion designer that is having problems finding resources and some handy tools. One of the greatest resources, in my opinion, is books. 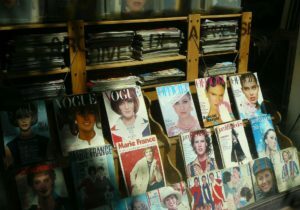 Books are always packed full of information and there is a huge variety of them for fashion design. You can buy encyclopedias which show you sewing techniques and materials, books about the history of fashion so you can study different styles and how they were made and of course drawing books that help you learn how to sketch great fashion garments quickly. Magazines are great for creating inspiration. They help you keep up to date with current trends and show you different garments that are available at different price ranges, colors and materials. One of my favorite things about magazines is the ability to cut out anything that might inspire me at that moment and create a big mood board or a folder full of inspiration to help me create some new designs. It’s great as a fashion designer to have separate folders with separate work in them. One folder should be all about different materials that are available on today’s market including man-made materials and natural ones too. The second folder should contain inspiration of all the different garments that exist and for each garment, you should dedicate one to two pages for each style. Last but not least a folder that contains all the different colors available so you can be instantly inspired for choosing which color material for a garment. Lots of colors are available and some of the few categories are the classics, neutrals, jewels and so on. Make sure you have a color chart that you will neatly create so you can keep looking back at it. Create a space in your house/bedroom that you keep all your fashion design work there and make sure it is all neat, labeled and organized. Buy a clothes rack that you will only use to hang any garments you have sewn. Surround yourself with inspiration on your walls, in your folders and any other resources and tools you may have. I hope you have found this article helpful!